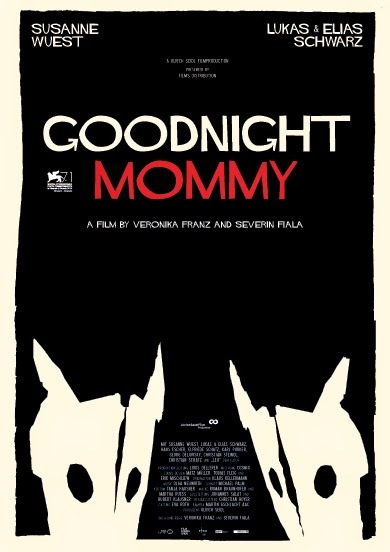 The Toronto International Film Festival Vanguard Blog: GOODNIGHT MOMMY Second Look: two short clip, new images, and poster! GOODNIGHT MOMMY Second Look: two short clip, new images, and poster! "Two clips released, you say?! I'll be right out." Whoa, whoa, whoa kids. Have we got exciting news! Not long after after posting our initial First Look post for the dark and foreboding Goodnight Mommy did Indiewire exclusively release the first clip. Thank you, o' mighty Indiewire gods for providing us with this bounty. This chilling and fearful bounty. (We just wish it would embed, but alas you will all have to click on the link.) Gotta say, we don't really blame those kids for being so wary of their mum. Twitch also released a different clip. It's starting to feel like Christmas over here on the Vanguard blog. But unfortunately that won't embed either so head on over to the website and prepare yourselves to never want to to fall asleep near children who have access to cockroaches ever again! And that's not all, because soon after we uncovered a film poster and some seriously disturbing new stills. Like the one above. Nightmare fuel, that is. Check it all out below and get even more excited (and disturbed) for this movie. Okay, this one isn't so bad. Look how cute they are! Um, maybe go lie down, Mommy. You look...tired? Okay, now the masks aren't so cute anymore. Goodnight Mommy is screening at the 2014 Toronto International Film Festival as part of the Vanguard Programme. Check out more Vanguard films on the official Festival website.